The enchanting theme and elegant appearance of the Silver Glittered Snowflake Ribbon is the perfect way to bring some vintage sophistication and contemporary convenience into the holidays. 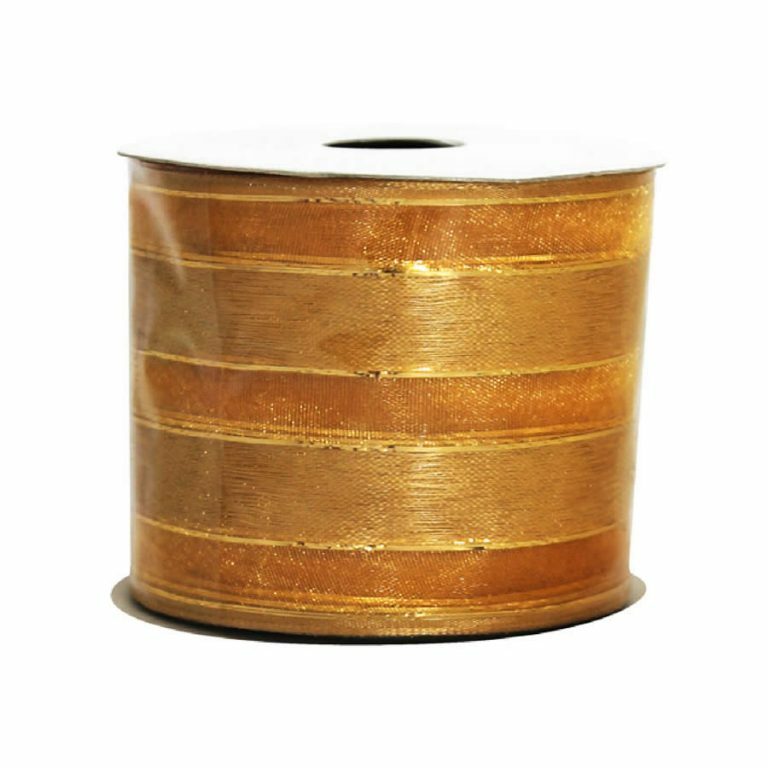 The problem with conventional ribbons is that they can sag, droop, or come untied when used on wreaths, trees, or other trims. 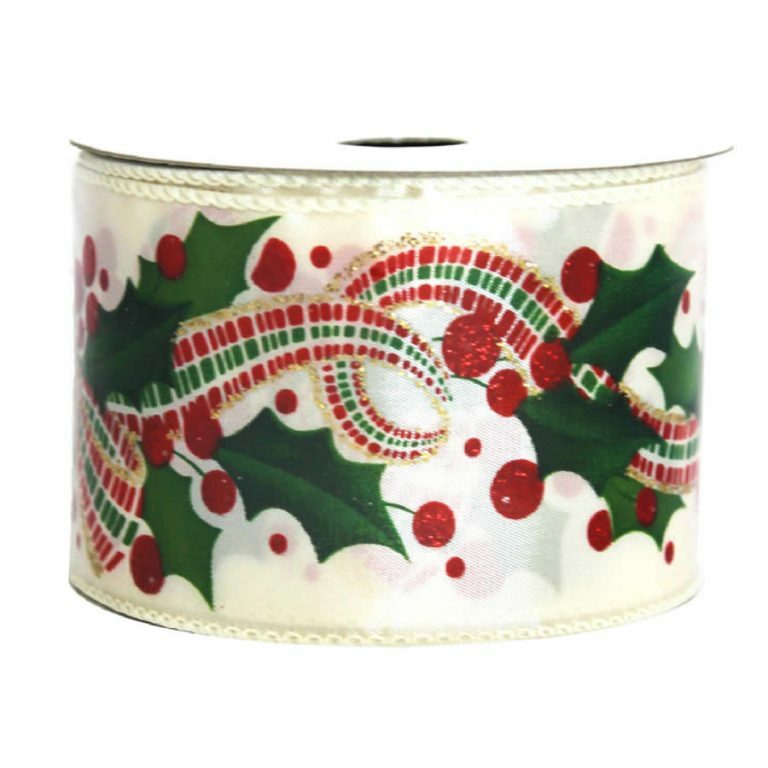 This ribbon will stay-put when you create holiday accents, due to the wired edging along each 9-metre length of this wide and wonderful ribbon. 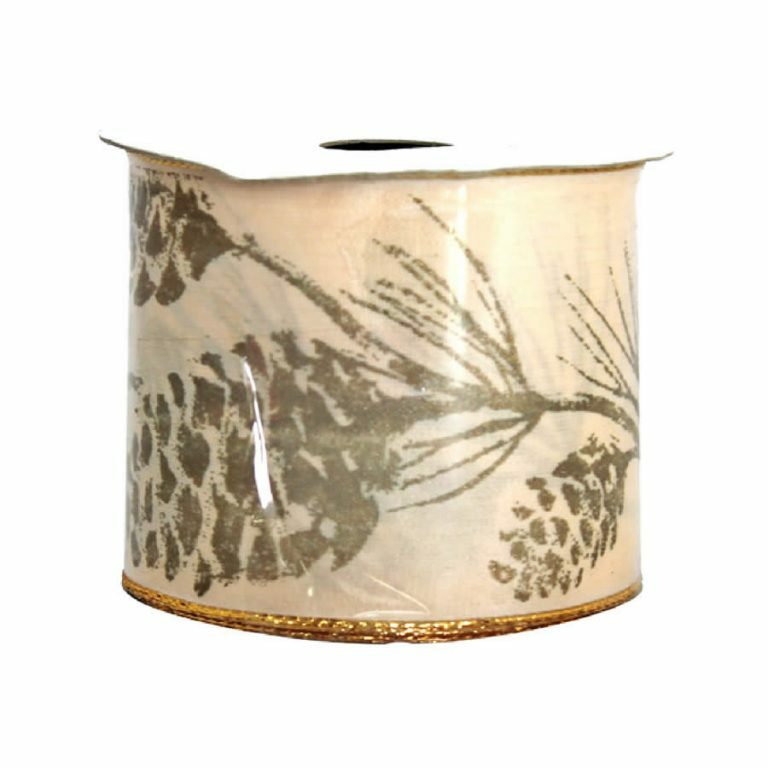 Each roll is around 7cm wide, so your bows and accents will be full, beautiful, and look like you hired a pro! 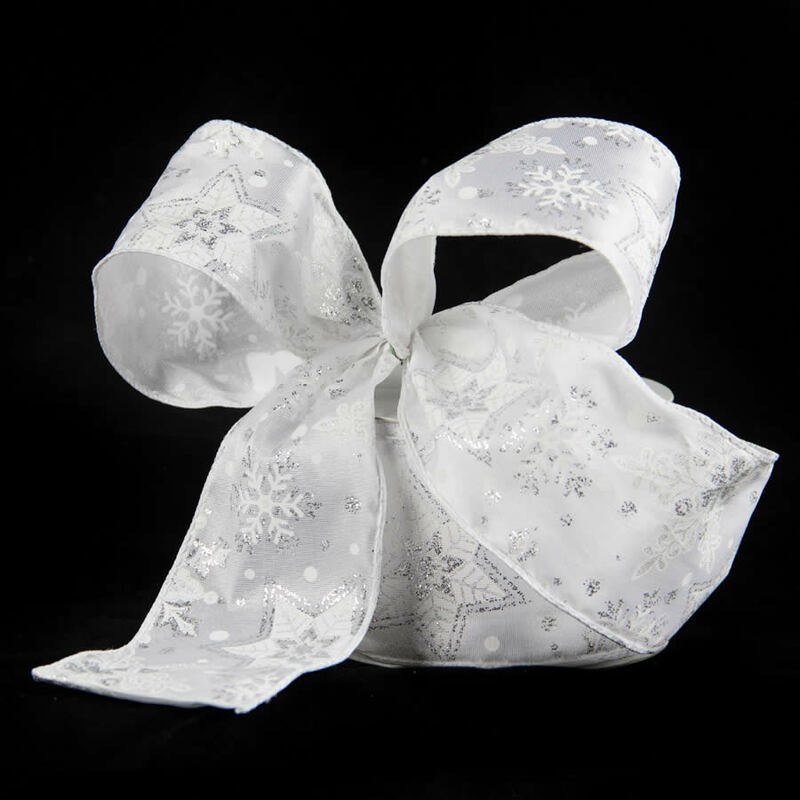 The silver sheen of the sheer taffeta is accented by glittering silver snowflakes, which resemble the new fallen snow of winter. 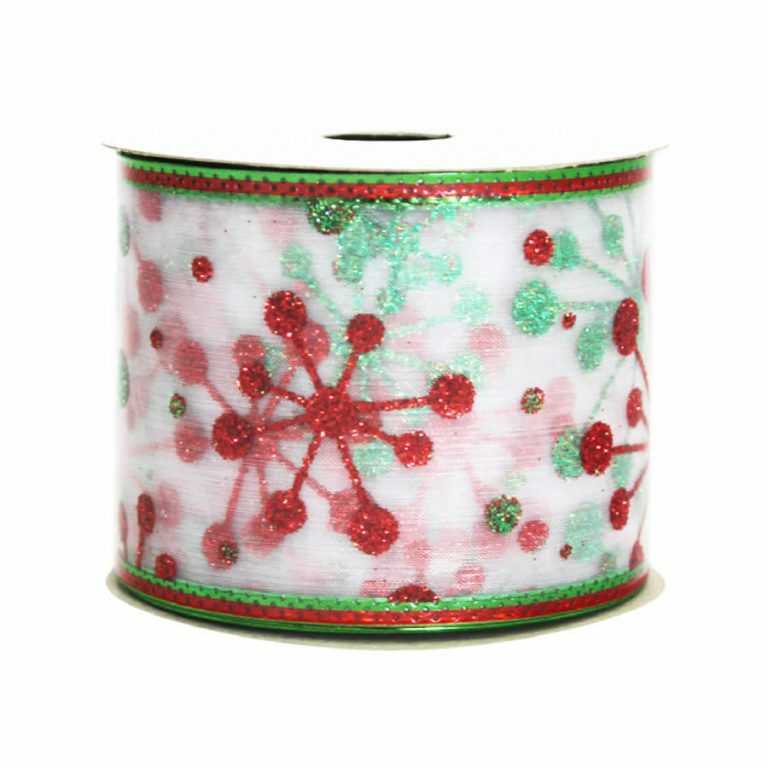 Enjoy bringing a bit of glitz to your decor, and watch friends and family admire and adore the look of this truly stunning ribbon when you use a bit on their holiday packages, wreaths, or floral displays. This is something you definitely want to keep on hand during the season, and it will help you put your own touch on all of your Christmas projects!